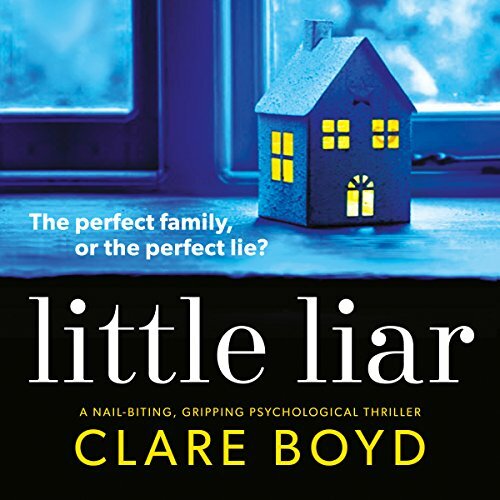 The perfect family...or the perfect lie? When a child’s scream pierces the night, Mira does what any good neighbor would do: She calls the police. She wants to make sure that Rosie, the little girl next door, is safe. Opening her front door to the police the next morning, Gemma's picture-perfect family is forced under scrutiny of social services. 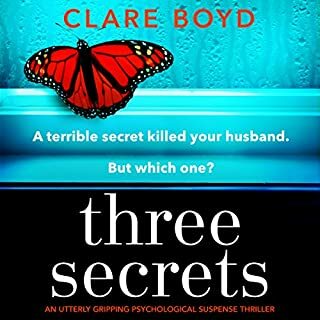 As her flawless life begins to crumble around her, Gemma must fight to defend the family she loves and protect her daughter from the terrible secret she's been keeping. But who has Rosie been confiding in when Gemma’s back is turned? And why has she lied to the police? I really enjoyed this book. It was one I could ot stop listening to. I stayed up way to late, not wanting to stop listening. Kept my attention. Characters were believable. I go through many audio books in a month But overall, this was one of the tops. Wonderful Narration! Very interesting story. 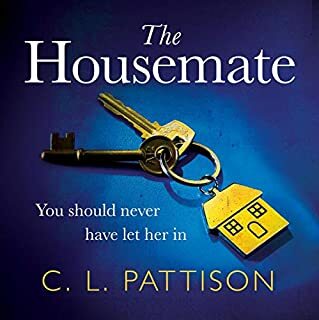 I would recommend this book to Audible listeners who love family secrets plots. The neighbor is deliciously twisted as well. 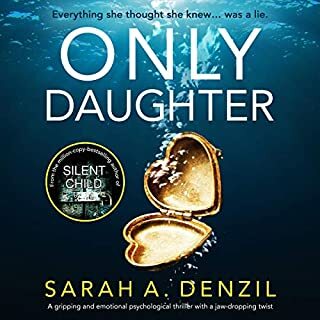 I think the thing I liked most is how relatable most Women who have raised Daughters will find some of the emotional scenes. Really enjoyed! The plot of this one was promising,, but, good grief...mom, daughter, neighbor all needed some therapy - maybe a group discount or something. Rosie had issues before her mother blurted out the truth to her. Frankly, I felt like Gemma was an unfit mother, even if she was not physically abusive. The manner in which she dealt with her daughter's behavior was appalling to me. The son received no attention. And how did the fruitcake neighbor keep a long-term job at a school with her issues? Narration was good. This book is categorized wrong. 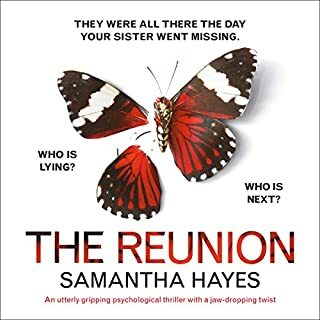 I like psychological thrillers and this book is definitely not. The child is missing for less than 5 minutes of the story. It’s really a story about troubled mother/daughter relationships and meddling neighbors. Most of the characters weren’t easy to like, even Rosie threw ridiculous tantrums for a ten year old child. She was easier to overlook than the adults. The narrator was outstanding! She made a bad book tolerable. Kudos to talented narrators!! This book should be named, We All Need Therapy! Little Liar is an odd book. I am not really sure what the point was, but it did keep me listening. We have a family who lives outside of London with their young daughter Rosie, and their son. Jemma (Mom) is pregnant again and Pete is seemingly basking in his job, married life, and children's love. But, Jemma's neighbour has a past. She had her baby taken away when she was just 15 years old. She is jealous of Jemma, and reports her to social services for child abuse. Although, Rosie isn't an 'angel' child because she lies about being abused as well. She has terrible temper tantrums and she behaves badly. Rosie drives Jemma to the point of screaming (and I can't say I blamed her). Every time this little brat would act like a spoiled little witch I wanted to scream at her. My rage built up inside me, too. Jemma felt guilty about getting angry, and her nosey neighbour fills Rosie's head with more ammunition to get Jemma in trouble, and she's already in jeopardy of going to prison for abuse! The neighbour is suffering from PTSD due to a bad relationship with her mother, and being raped by her mother's boyfriend as a teen- and then having the consequential baby taken from her and put up for adoption. Rosie the 10 year old needs some anger therapy, as does Jemma. This book is depressing and it has no specific climax. It's one heart ache after another and it screams 'THESE PEOPLE NEED THERAPY' to the reader. It doesn't really fall under a psychological thriller. It's just a story about people who are a complete mess. It's worth the listen if you can get it on sale. I hated Rosie (that's so awful of me! ), but some of the other characters are very likable, and the bond between families (good or bad) is portrayed beautifully by the author. Can you say the word THERAPY? I found myself extremely frustrated about the DENIAL of parents to see that their family may just need some therapy; particularly the child. And maybe some effective discipline??? I am shocked that, throughout this entire book, the word therapy was never mentioned, which I find absolutely, unbelievably stupid!! This was a decent story but somewhat challenging for me because I would never let my kids act like this. A parent needs to act like a parent and not be scared of your child not liking you so that made it very frustrating for me. As a mother of two daughters very close to Rosie’s age parts of this book really resonated with me. At times it even had me close to tears. However sometimes the story didn’t quite flow and caused me to lose interest. I found it much easier to get into the heart of one character more than the other but maybe that is the authors intention. Overall it was still enjoyable and as a mother a very thought provoking listen. I listened to this book fairly swiftly as was gripped from outset which is a good thing. I also enjoyed the style of writing and the narration. Unfortunately the end was slightly farcical & disappointing. Fascinating story with a twist at the end. 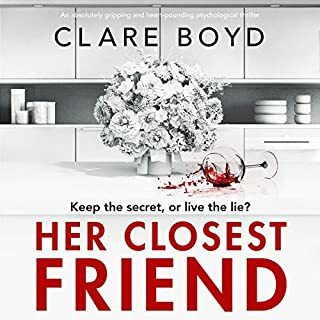 What could Clare Boyd have done to make this a more enjoyable book for you? Would you listen to another book narrated by Jane McDowell? Nowhere in this story did either parent think they should be seeking help for their difficult child and the way they were bringing her up. Novels , like the BBC, are there to entertain and inform, and this book did neither. Don't know if I can be bothered to soldier on to the end, now six hours in. The story dragged on a bit and I kept losing interest over and over again. A very Differently & Interesting book. As a Safeguarding & Outreach worker I was totally engrossed at where the Mum & Mira needed guidance. Definately left open for a second book. Narrator was good & of course the Author. Well done on this very different book with goid awareness in Childcare fields. was hard to follow at first but with perseveramce, things became clearer. There was too much, "he said" and "she said". loved this book. particularly all the extra little twists in it. I was enthralled until the end.